Do you want to develop ROI generating iPhone Apps? What’s Next? ChicMic is the right iPhone App Development Company. At ChicMic, we are experts in native app development for iPhone, iPad & iPod. Backed by Swift & Objective C, we have developed iOS apps for Social Networking, Multimedia, Mobile games, E-commerce & AR/VR apps. With a strong command of iPhone technologies, ChicMic’s iPhone App Developers in India design, build & deliver top rated iPhone applications. Our end-to-end iPhone/iOS App Development services have covered everything for your needs. ChicMic, an iPhone App Development Company in India has extensive experience in iPhone Technologies, Designs, Database Engine, Programming Languages & more. We have built over 500+ stringent quality-tested apps for varied industry experience. We strongly believe in transforming our client’s business growth story with the timely delivery of robust, scalable & interactive iPhone apps. Our team of professional developers develop Custom & Enterprise iPhone apps. 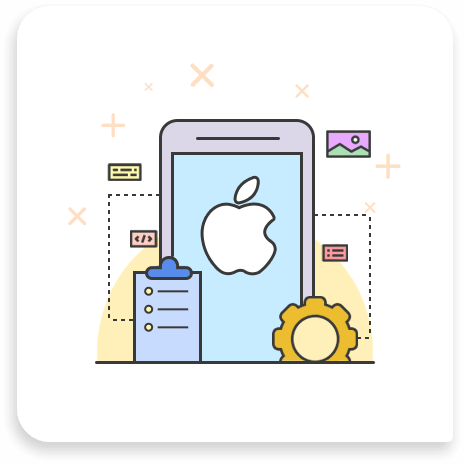 The cutting-edge iPhone App Development we provide includes Idea Generation, UI/UX Design, Architecture, Quality Assurance, Development, App Submission & Post Launch. Robust tools like JSON, Xcode, UIKit, ARKit, MapKit, Twilio, iOS SDK, iOS Devices & Simulators are used by our developers to craft engaging apps. San Jorge, Houzify, Komplete Care, FYF, Engage CRM, Toga, Shopping Festival, Select League are the best developed industry-specific applications. For iPhone App Development, the iPhone App Developers in Melbourne relies on robust technology to make every iPhone application look far better.